Accessories - Clips And Ties - White Christmas Hook - Box Of 50 Christmas Decorations Etc. 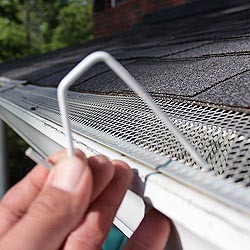 Christmas Hook, a Christmas light hanger designed for gutters with mesh leaf guard. Made from aluminum, will not rust and lasts for years.